Color and weight of fabric. This is the perfect natural linen color and the weight of the fabric is fabulous! 11 Oz. 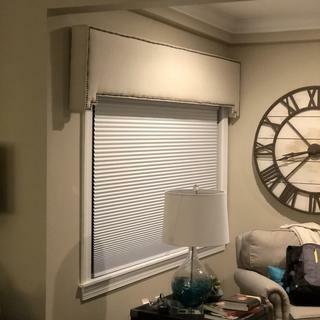 Bone sBelgian linen fabric.--I'm interested in this linen, and want to pre- wash the fabric before making it into slipcovers for my Family room sofa and easy chair. The intent is to pre- wash, so the finished slipcover would be washable without shrinkage. My concern is whether your 11 Oz, Belgian linen comes with sizing, and what would pre- washing do to its appearance. I have several vintage hand loomed linen towels purchased in Europe, which I used for upholstering my kitchen stools, which wear extremely well under daily use. After three yrs, still look beautiful. They clean up easily when spots occur. I washed, mongeled ( yes, I have a rotary iron) and scotchguarded them before using it on my stools . That is the beaty of Belgian linen that it is washable and very strong, and I would prefer washing your 11 Oz. Belgian linen too, as opposed to dry cleaning, which is what's recommended on your website. Can I pre- wash without ruining the fabric ( sizing if any) , why is dry cleaning recommended? Is it because of Sizing, shrinkage, or just covering your base? Thank you. 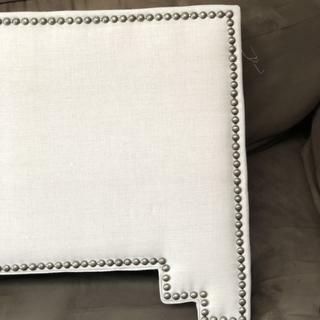 Used this for a client and made upholstered cornice boards with a nailhead trim. This fabric irons up beautifully and is wonderful to work with.